Requests for Travel – These are NOT bookings and DO NOT BECOME A BOOKING until you have a Confirmation containing the date and time of pick-up and pick-up point sent to you 4 days before your date of travel. Check-in Closure Times – The information you supply us with is used to determine your pick-up time so it is imperative that the information you provide is correct. If you supply us with incorrect information, e.g. an incorrect check-in time, your airline may not allow you on to your Flight. We do not take responsibility for checking the information you provide and accept no responsibility for you missing your flight due to you providing us with incorrect information. It is vital that all passengers arrive on time for their advised pick-up times as some of your fellow passengers may have an earlier check-in closure time than yourself. Vehicles MUST leave at the advised time. If for any reason you are delayed, you MUST ring 07538 117 618. If you are not at the pick-up point at the advised time the vehicle may leave without you. In these circumstances, we accept no responsibility for you missing your flight. Passengers are responsible for the security of their own luggage. Please ensure you take all of your belongings with you when you leave the vehicle as we are unable to take responsibility for any misplaced possessions. Is your suitcase or holdall - SMALL / MEDIUM / LARGE? Please specify for EACH item carried. Is your backpack - LARGE SIZE HIKING BACKPACK or SMALL DAY BACKPACK / CARRIER. Please specify for EACH item carried. We ask for this help when allocating vehicles NOT to make extra money from the luggage you have with you! Thank you. Standard Luggage Allowance is 1 x Large Case/Holdall + 2 pieces of Hand Luggage. The above allowance is included in the standard fare. A surcharge of £10 will be levied for any additional luggage above the Standard Luggage Allowance when we have been informed in advance. The only exception to this is for new students arriving for Orientation Week when this surcharge will be waived. If you fail to advise us of the correct amount of luggage you intend to travel with you, a surcharge of £15 will be levied when you travel. Please note if there is insufficient luggage space in the allocated vehicle you will not be allowed to travel. If you miss your flight due to arriving with excessive luggage and subsequently not being allowed to travel, we can accept no responsibility for this. If cancellation is made more than 5 days before your date of travel and we are able to accommodate you on another shared car, no refund will need to be given. If your cancellation is made more than 5 days before your date of travel and we are unable to accommodate you on another shared car, we are only able to refund your basic fare, not the credit card acceptance fee. You will need to supply us with an address and we will send you a refund cheque within 14 days of your cancellation. 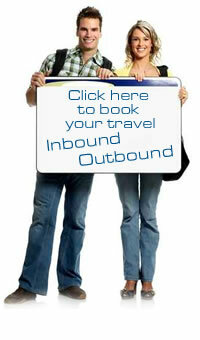 If your cancellation is made less than 5 days before your date of travel no refund is payable. If you don't cancel and just don't turn up no refund is payable. If your flight arrives late, meaning that we require to put on a separate car, we reserve the right to charge the minimum car charge (i.e. £60). This fare would be split between the number of passengers up to 3 thereafter our normal rate of £20 per passenger would apply. If having booked, you subsequently fail to travel for any reason without having notified us of your cancellation, we reserve the right to charge a cancellation fee equivalent to the fare quoted on your Confirmation. Passengers must behave responsibly and not cause aggravation to other passengers or the driver. Passengers must turn up at the agreed pick-up time. Latecomers may be left behind. Passengers must not turn up drunk or affected by any other substance. Again, you may be refused travel. Please consider others and behave as you would expect others to behave towards you.